Over time, innovative pharmaceutical packaging companies improved on the original concepts found in unit dose packaging. Here at LF of America, for example, we produce eco-friendly unit dose containers for liquids. Our unit dose containers come in interconnected strips of five separate ampoules and can even be produced with reclosable seal options for multi-use applications. Continuous development of pharmaceutical packaging options like unit dose packaging is an important part of improving the medical and related industries. In addition, the benefits of unit dose packaging extend beyond improving safety, which you can read more about below. To learn more about our unit dose packaging options, please contact LF of America for further assistance. Going back to the definition of unit dose packaging, single dose containers must meet the criteria of improving convenience, safety, and monitoring. First, single dose packaging eliminates the need for measuring out dose after dose while reducing inaccurate dosing concerns. Because they are also individually barcoded, the administration of single dose containers can be easily monitored by staff members. Another advantage to single dose containers is directed at patients. When used in hospital settings, patients can pay for only the doses they use instead of having to purchase full bottles. The containers themselves are also more hygienic than traditional containers and are easy to bring anywhere the patient might need to take them. 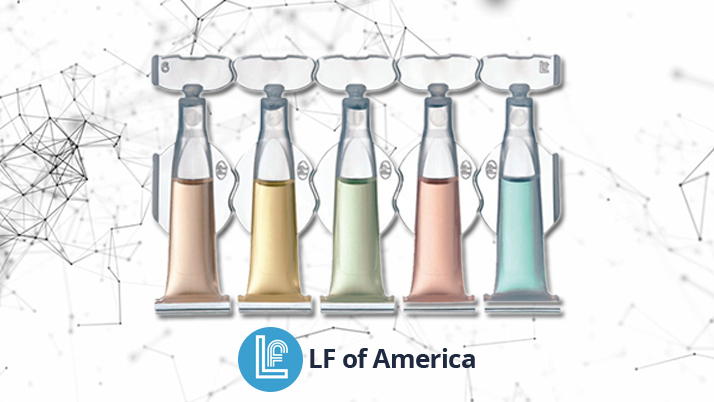 Please watch the video below if you’d like to learn more about the unit dose packaging we have available at LF of America. LF of America is proud to be regarded among the top contract packaging and filling companies in the US. We offer full turnkey filling services that include everything from formulation and batching to filling and we even provide custom packaging manufacturing. We also offer liquid filling machines for sale to any companies interested in having their own in-house filling system. With the benefits presented in the definition of unit dose packaging, safety, convenience, and monitoring can be easily improved. If you are interested in gaining these benefits, contact our team for more information.